While mourning the passing of her wilful ward, RVN Jane Davidson recounts their time together as a warning to those considering the purchase of a brachycephalic breed due to their “cute” factor. BVNA president Wendy Nevins reflects on the power – and importance – of belonging to the association’s family. Matthew Rendle – an RVN with more than 25 years’ experience, with a particular interest around the care and welfare of exotic species in captivity and the wild – embarks on the first of his new column series by introducing himself to readers and sharing his career journey to date. 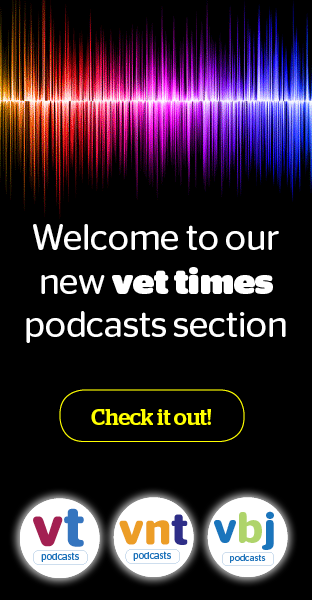 RVN Verity Johnson – of Sandhole Veterinary Centre in Snodland, Kent – discusses the feline-friendly protocols she and her colleagues conduct daily to put patients at ease and ensure a successful consult/stay. Bursary winner Martin Peters reflects on his hopes for the future and acknowledge the presence of a few butterflies as he embarks on his new adventure in emergency and critical care. This month, RVN and BVNA council member Gemma Reeve reaches out to colleagues to remind them that, even at the toughest times of the year, the association is there for them. This month, VN council vice-chairman Liz Cox throws down the gauntlet to fellow veterinary nurses to take the lead on quality improvement in practice for the benefit of all. BVNA honorary treasurer Erika Feilberg discusses work-life balance and how sometimes, you have to say no. VN Times editor Holly Kernot uses Lewis Carroll’s timeless tome to discuss the array of adventures RVNs embark on and ask readers, where do you want to go? RVN Donna Lewis reflects on her BVNA council experiences, return to the post and how fellow VNs could make a difference by being members. This month, RCVS Knowledge writers give RVNs the lowdown on how to obtain and review the very best in CPD. In her final column, Louise gives advice on anaesthetising septic patients – from planning to implementing protocols. From the banning of puppy and kitten sales in pet shops to outlawing electric shock collars, Holly Kernot summarises the spate of notable victories for animal welfare that took place in August. RVN Jo Oakden explains how a serendipitous moment led to her becoming a BVNA council member, and what goes on away from the public eye.